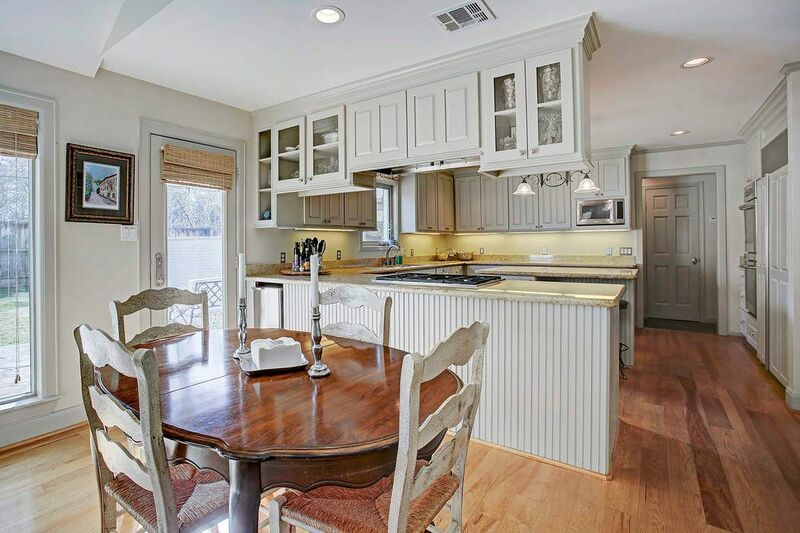 11015 Hunters Park Drive, Houston, TX 77024 | Martha Turner Sotheby's International Realty, Inc. 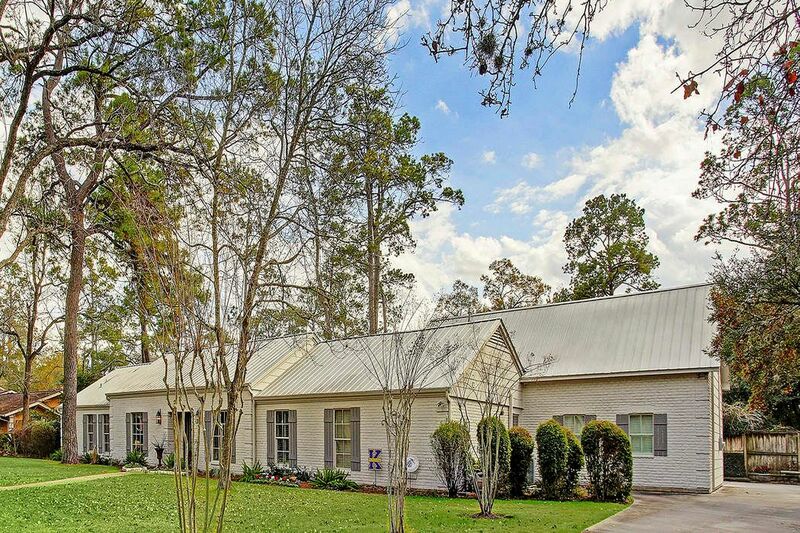 Welcome to this gorgeous updated Hunters Creek ranch style with two-story addition of an office and media room and an oversized garage. Recent painted exterior. Enjoy this huge Memorial front yard! 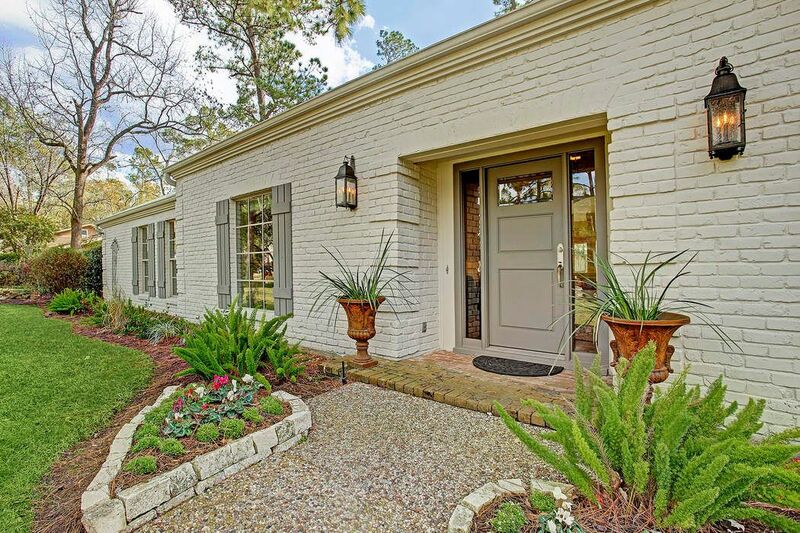 Lovely entry to this updated Memorial home. 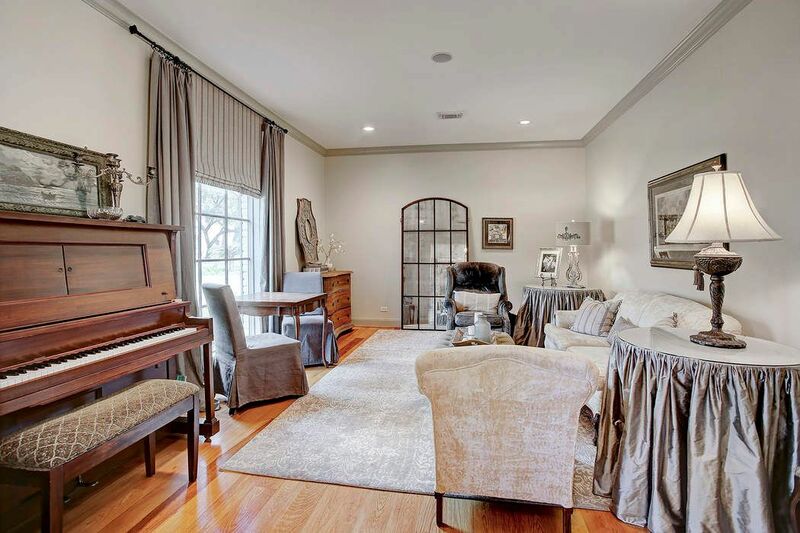 Expansive formal living room with plenty of light from double pained windows. 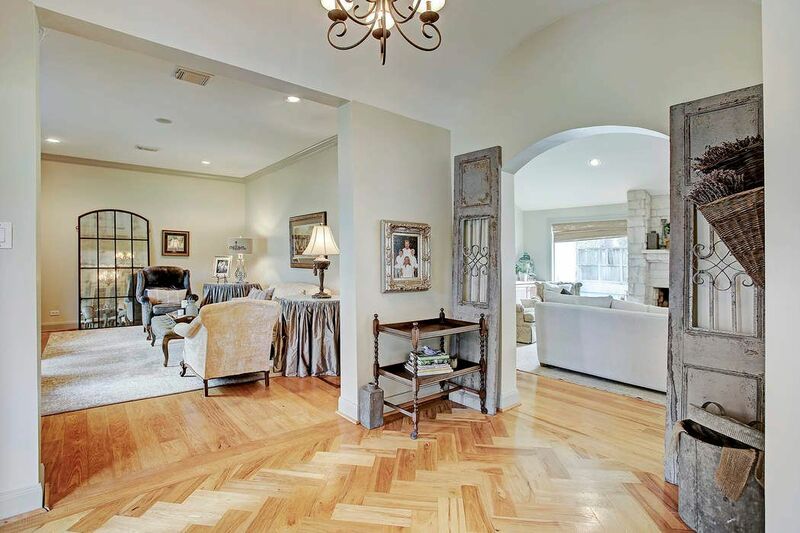 Raised ceilings with large baseboards and crown modeling. 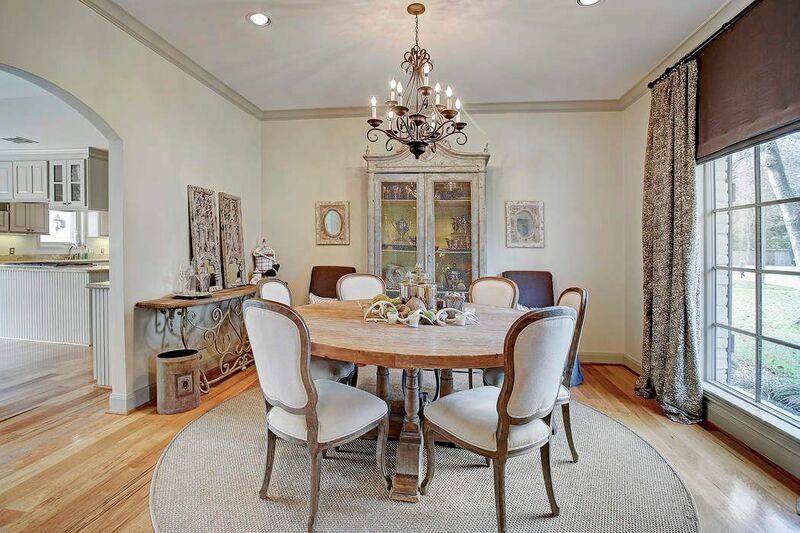 The large bright dining is perfect for a round or rectangle dining table with plenty of room for serving or storage pieces. 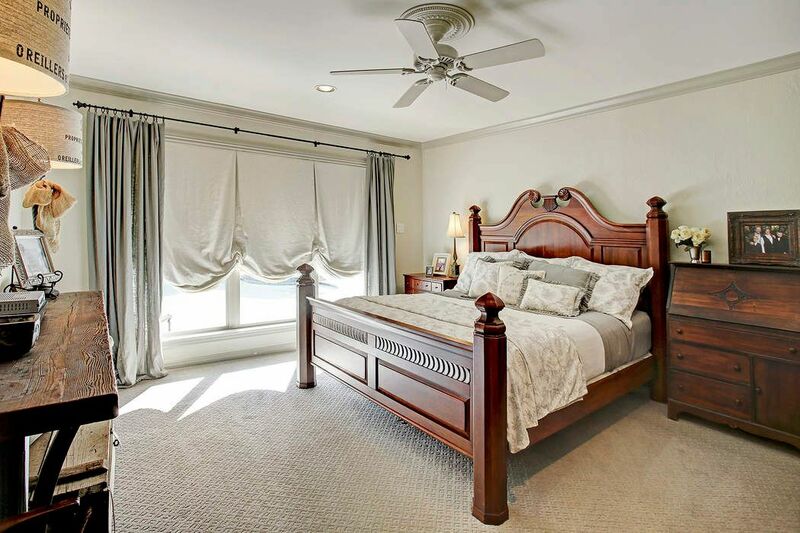 Raised ceilings with large baseboards and crown modeling offset this elegant room. 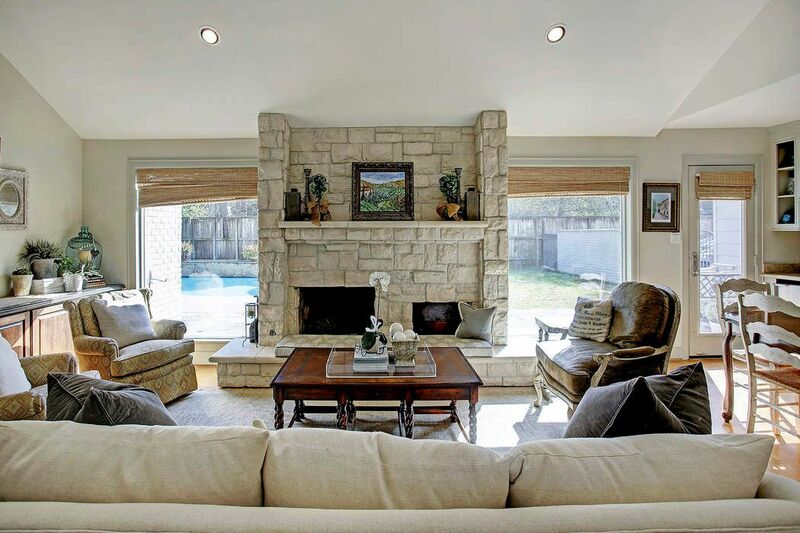 Den has a beautiful view around the large stone fireplace of the sparkling pool and backyard. 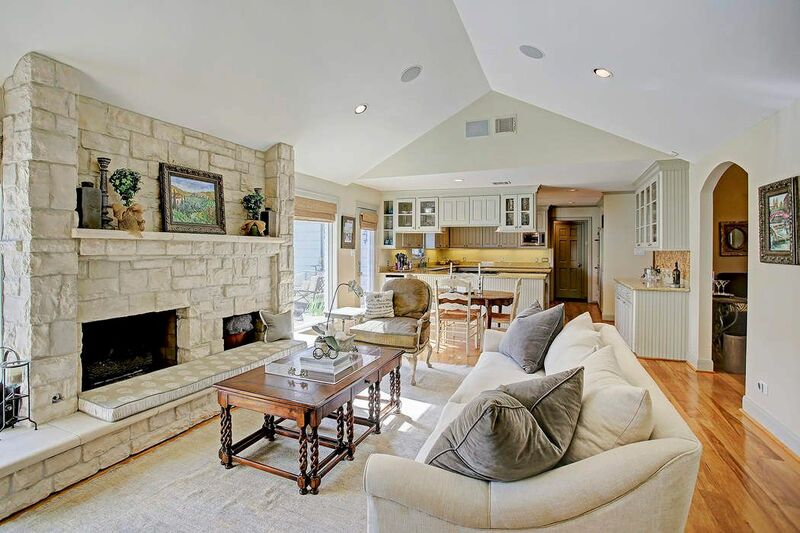 Another view of the open den with vaulted ceiling and stone fireplace. Dry bar perfect for entertaining with cork backsplash. 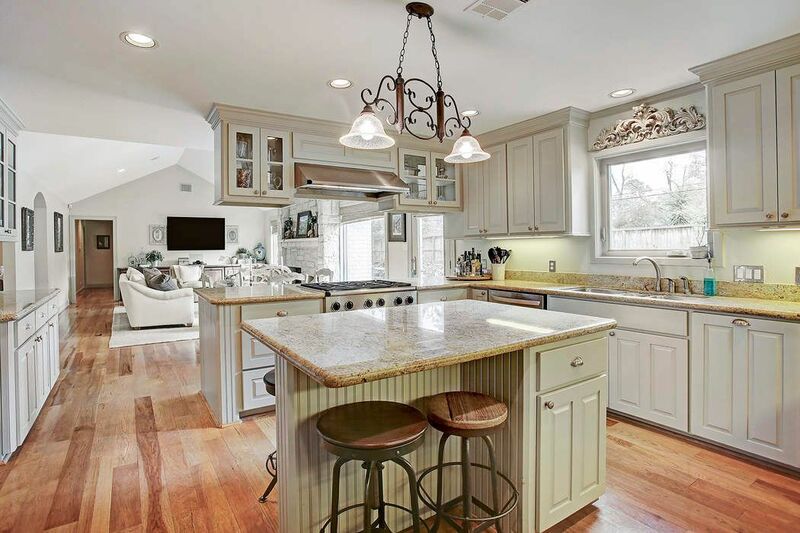 Large island kitchen with plenty of storage, a Sub-zero refrigerator, double stainless oven and a six-gas burner stovetop. View from the large kitchen to the breakfast and den. Open breakfast room between the den and kitchen. 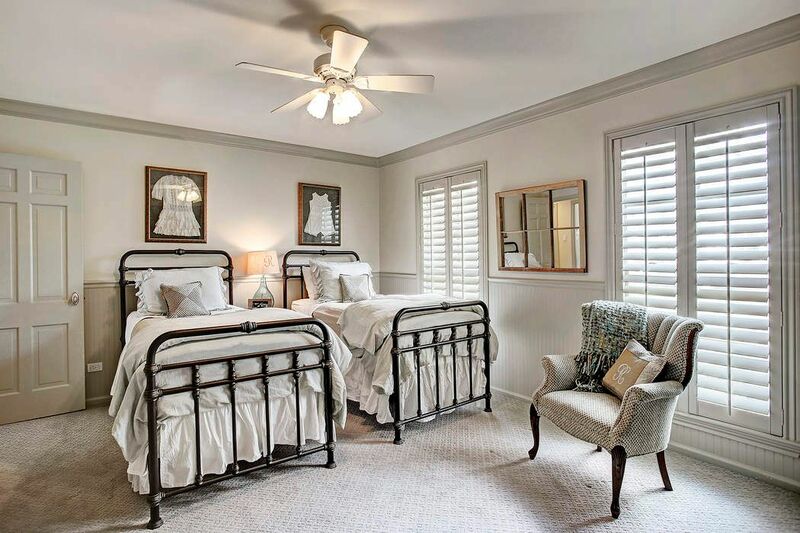 Master bedroom attaches to home office and has lovely views of the pool. 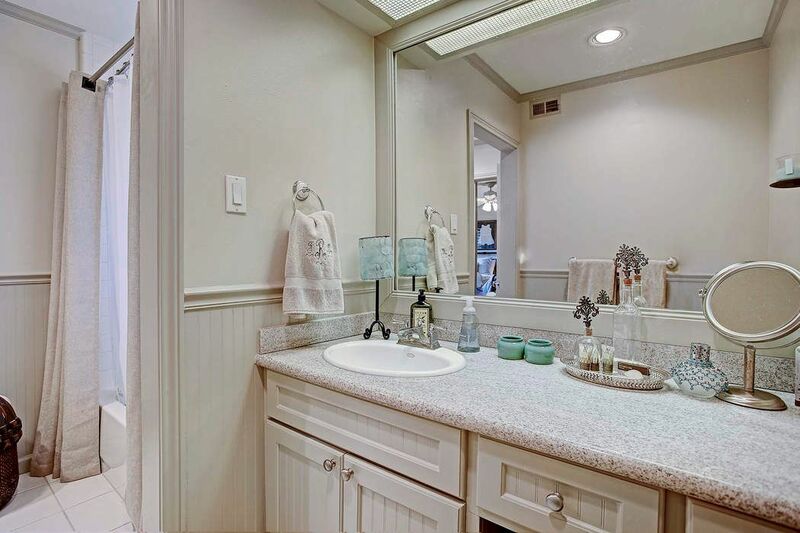 Large master bath with French doors opening to the pool. 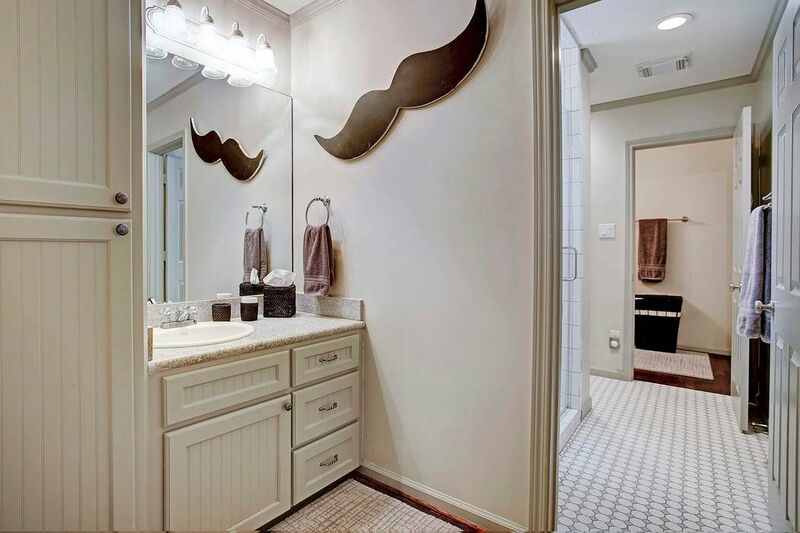 Large jetted tub and separate spacious shower with double shower heads. 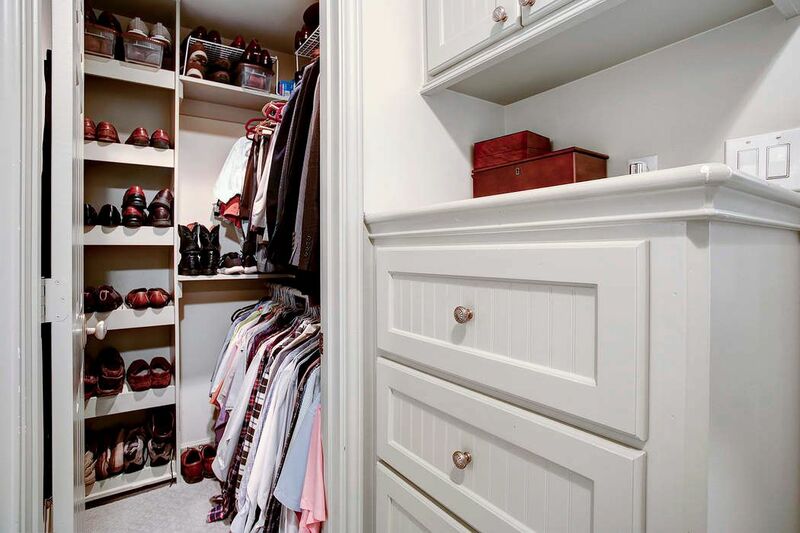 Great master closet with plenty of storage and built-in dresser. 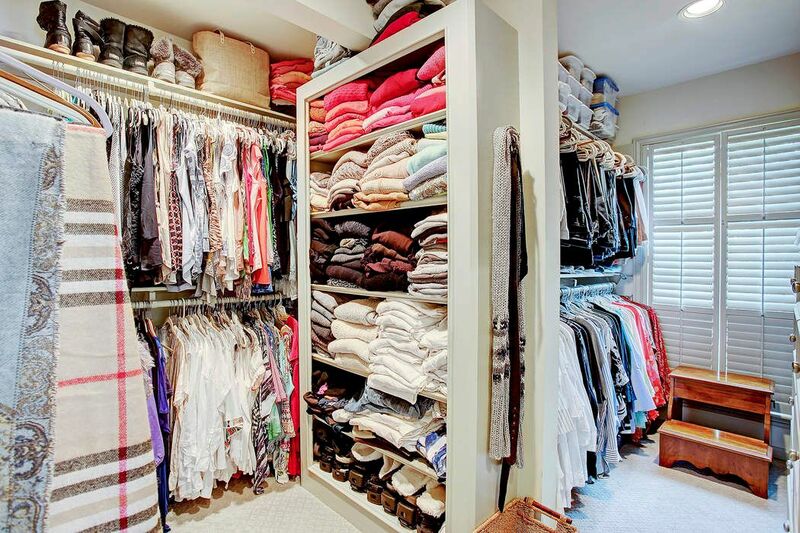 Second master closet and built-in dresser. 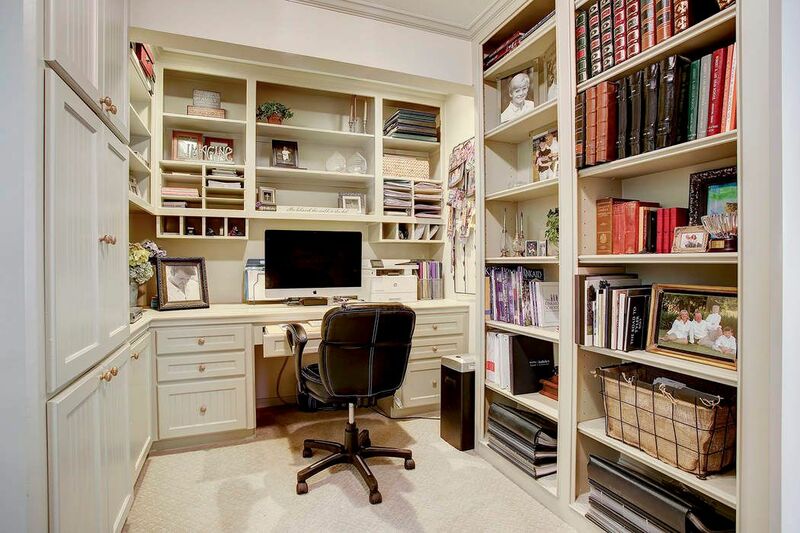 Home office with plenty of storage and built-in desk. Secondary bedroom with large closet and bathroom. Previously the master before major renovation in 2005. Secondary bath from previous master. Third bedroom with reclaimed hardwood floors on the other end of the home from the master bedroom. Hollywood bath connecting two secondary bedrooms. 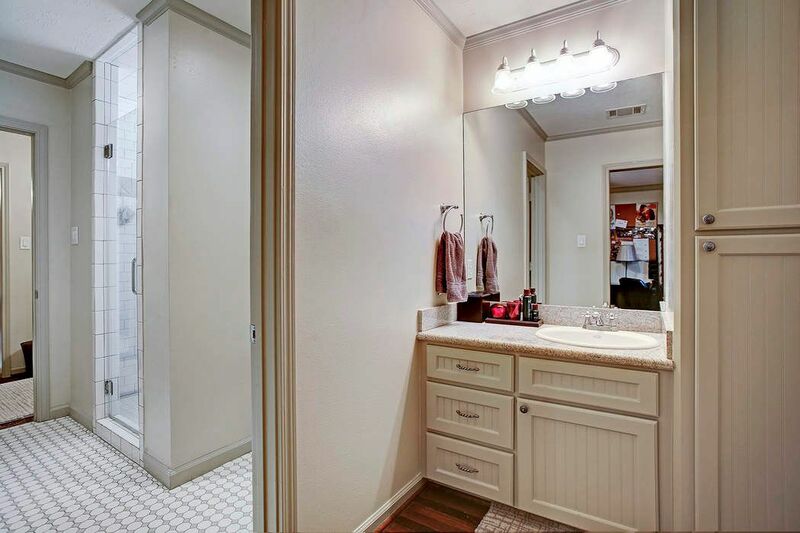 Shower are remodeled with white and grey hexagon tile floors and subway tiled shower. 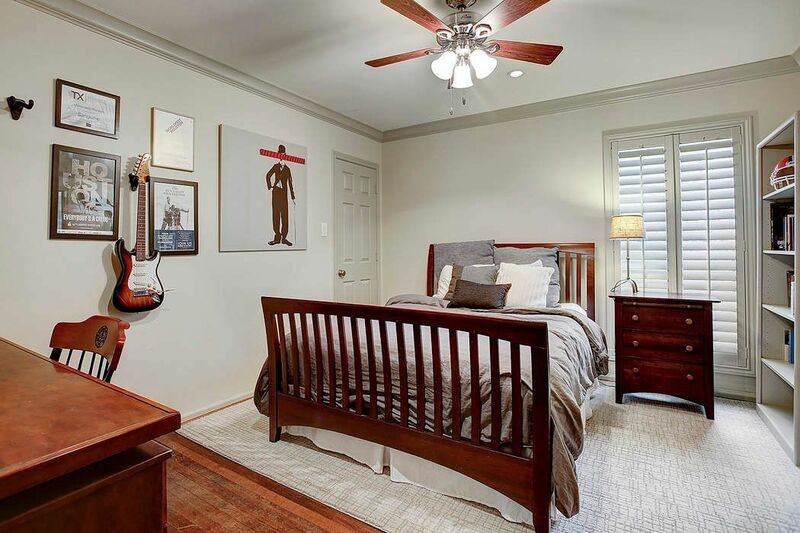 Forth bedroom with hardwood floors and nice sized closets with built-in dresser. Other side view of the Hollywood bath. Hallway off the garage with drop areas and cubbies. Also slate floors to powder room from pool. 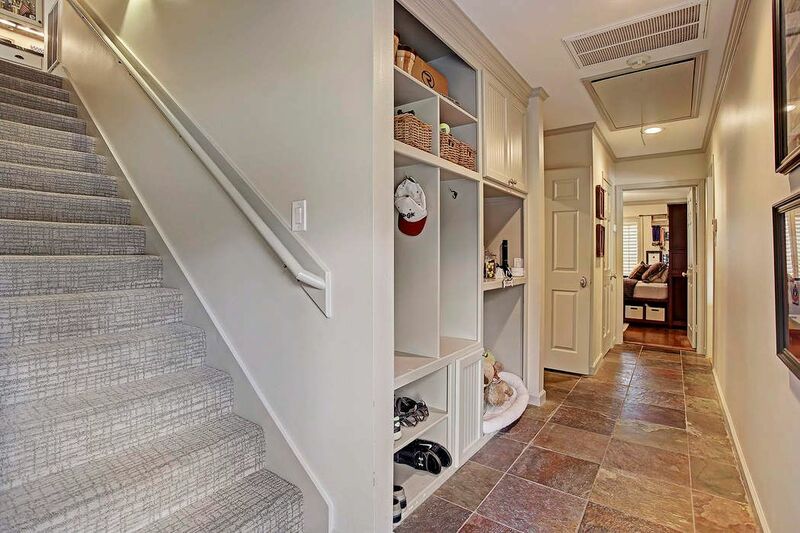 And up the stairs you will find another office/library and a media room with an area for bunk beds. 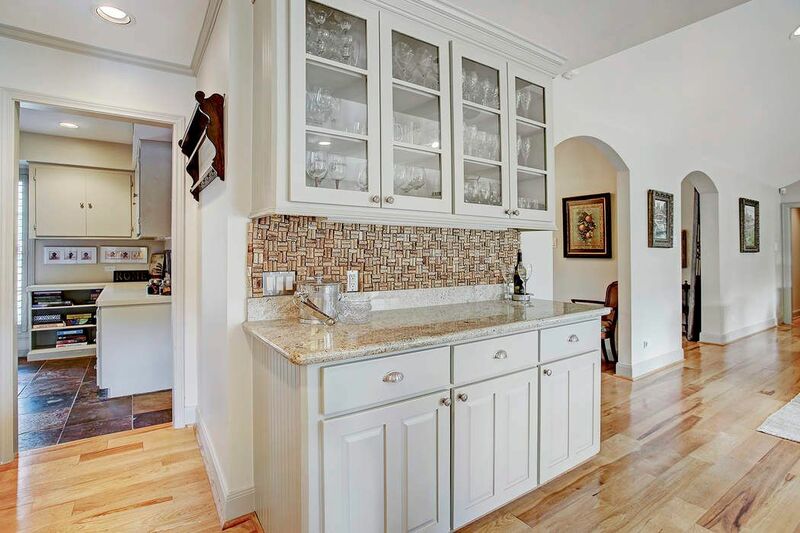 Custom built-ins with beautiful leathered granite counters between the media room and upstairs office. 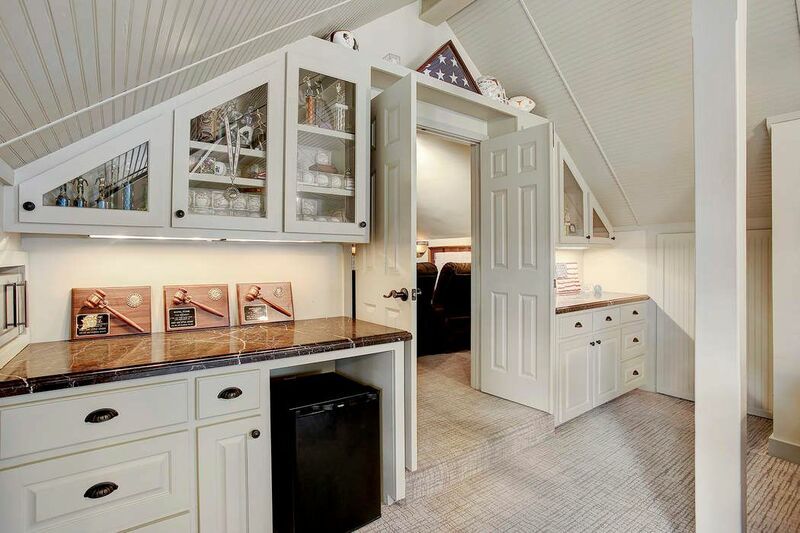 Room for small refrigerator and small microwave for movie popcorn. 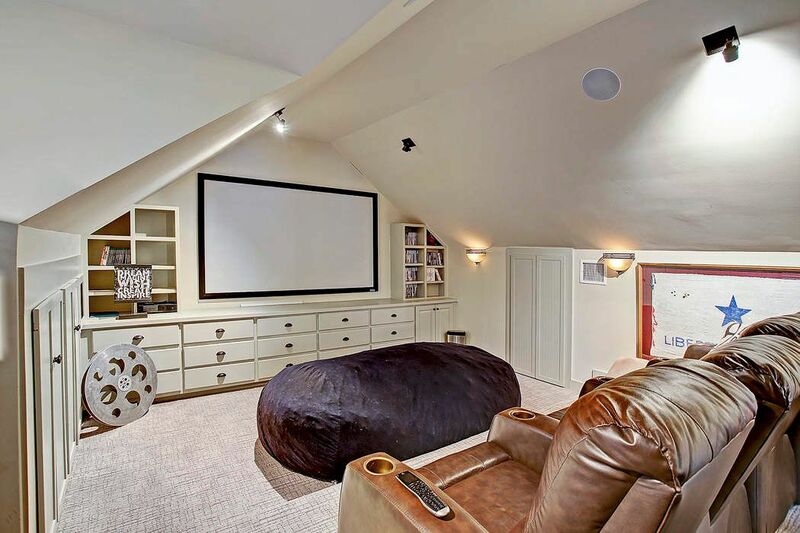 Two tier media room with plenty of drawers for your dvd collection. 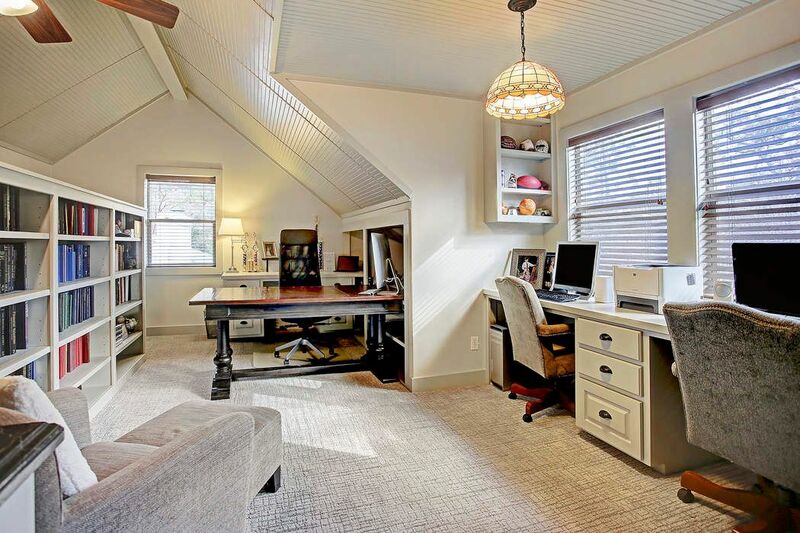 Upstairs addition perfect for secondary home office/library and two built-ins computer nooks. Beautiful view of the backyard and large pool. Backyard view of the two-story garage area and great yard for entertaining. 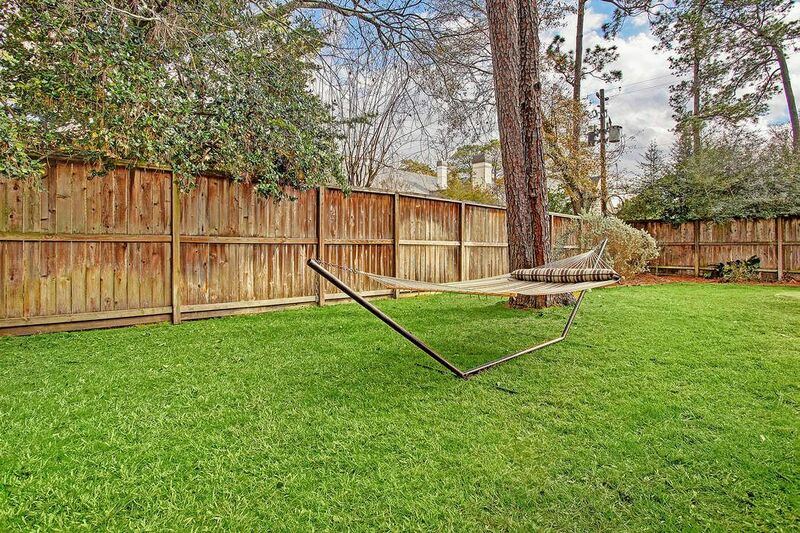 Extra yard space in the side of the backyard. 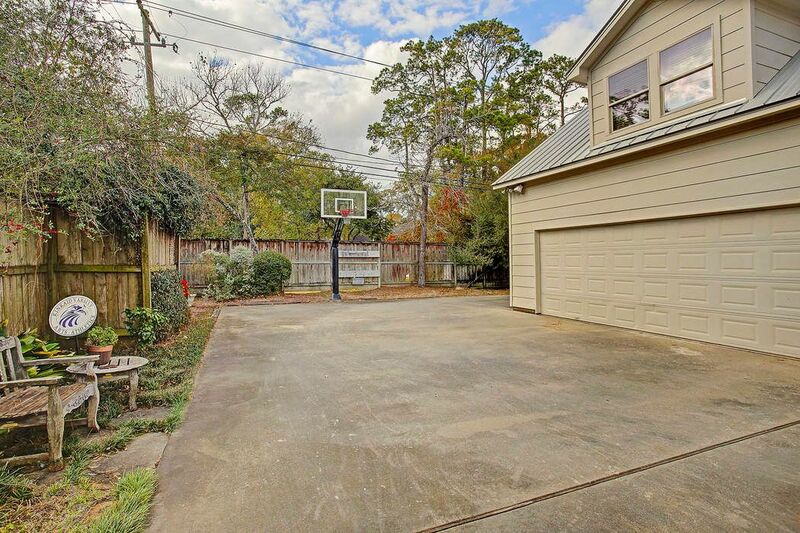 Hoops built-in basketball goal in the expansive driveway with extra parking behind the home. 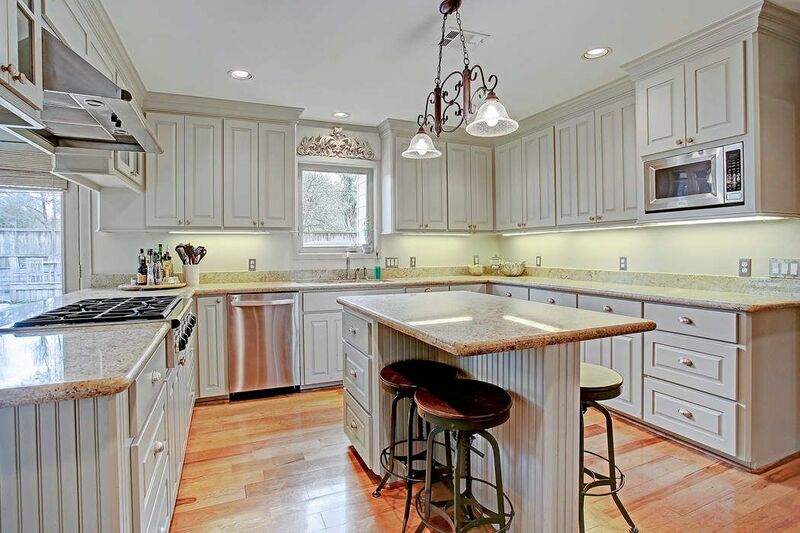 $1,549,000 4 Bedrooms3 Full / 1 Partial Baths4,692 sq. 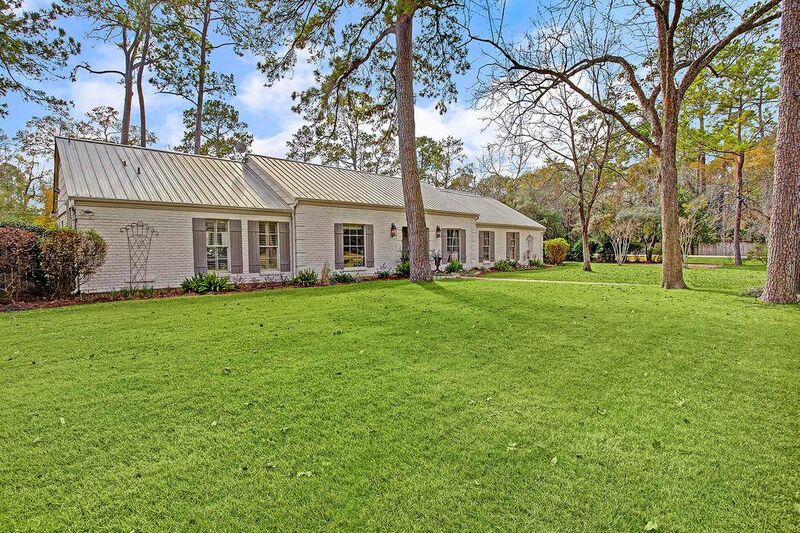 ft.
Gorgeous ranch-style home in the heart of Hunters Creek off Hedwig. 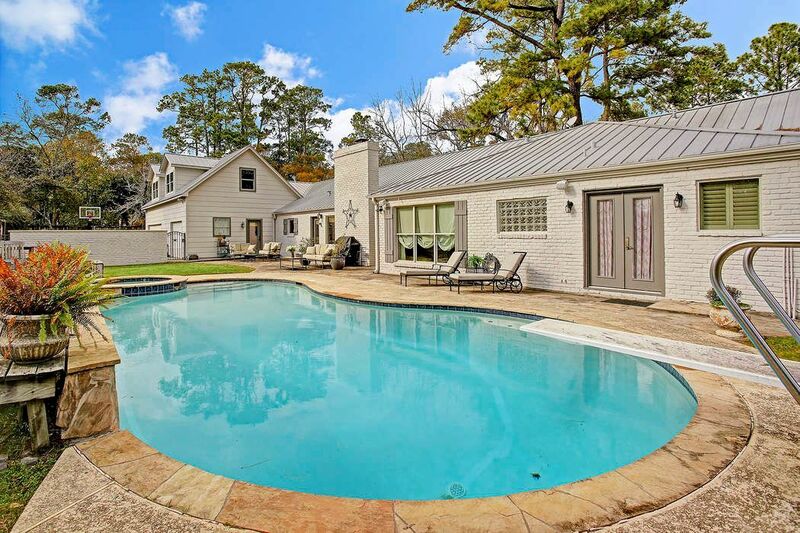 This 4/3/1 home has hardwood floors, vaulted ceiling, granite counters, stainless steel appliances, study, media room, pool and sit on a large lot. 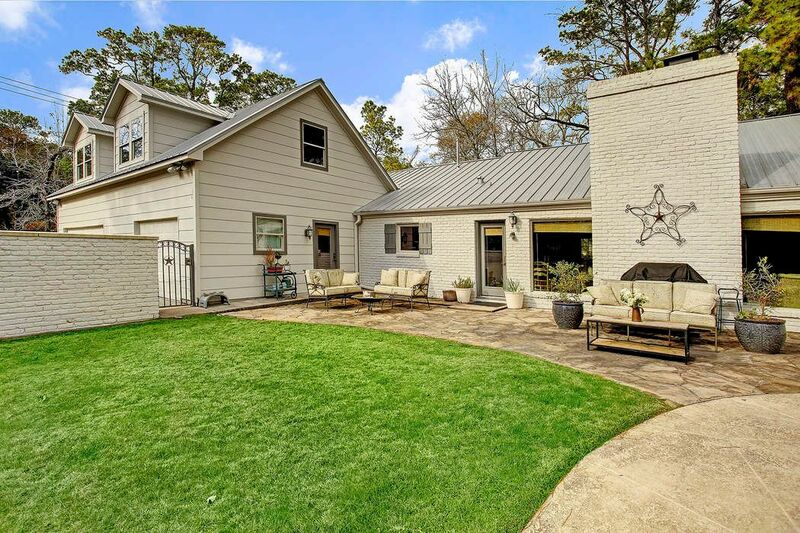 The home has recently been freshly painted, has a single-seam metal roof, lush landscaping, mature trees, recently replaced windows, the wiring has been updated and plumbing. It has a 2 1/2 car addition attached garage.